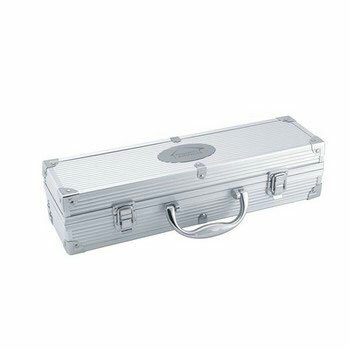 This quality BBQ set combines practicality and promotion. Give these barbecue sets to your customers, clients, prospects, members and staff and reap the rewards of this goodwill gesture. Make sure your next Xmas promotion or product launch includes one of these stylish BBQ sets and remember as it is emblazoned with your logo, this gift will be used by the recipient for years to come and your goodwill gesture will be remembered every time this BBQ set is used. This subtle form of advertising will translate into your organisation remaining ‘top of mind’…exactly where you want to be when your product or service is needed. 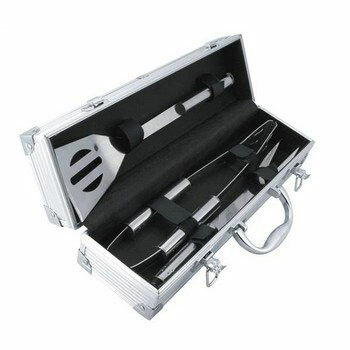 This BBQ set is ideal for picnics and home BBQ’s and the sturdy aluminium case will ensure these implements never get lost. 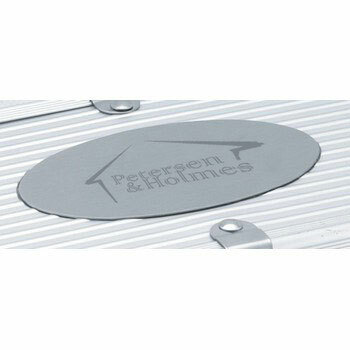 Comprising of 3 stainless steel BBQ Tools; spatula, fork and tongs, this set will take pride of place and remember, it is laser engraved with your logo.